Recently it became apparent that, with the current practice of downloading a movie each Saturday night for the less social of the Homesteaders, it would make better economic sense to change our Sky package to one that included movies. This has opened a whole new world to us all, and in particular to Farm Girl who has discovered the weekly classic movie slot on Disney. Some discoveries made via this medium have not warranted a second view in her opinion (Peter Pan, for example, in which Tinkerbell was a sulky, jealous upstart and just plain obnoxious) but from the opening scene of bare-bottomed orphans swimming in the river while a steam train thundered over a nearby bridge, Pollyanna was a winner. Farm Girl has had her share of demons to face recently and, from the very accurate Hayley Mills’ accent she regularly affects and the Sage Words she chose to share with us (alongside banana cake with chocolate icing and an appropriate soundtrack), we’ve got a feeling Pollyanna and her Glad Game may be helping her out. And we’re not complaining about that. 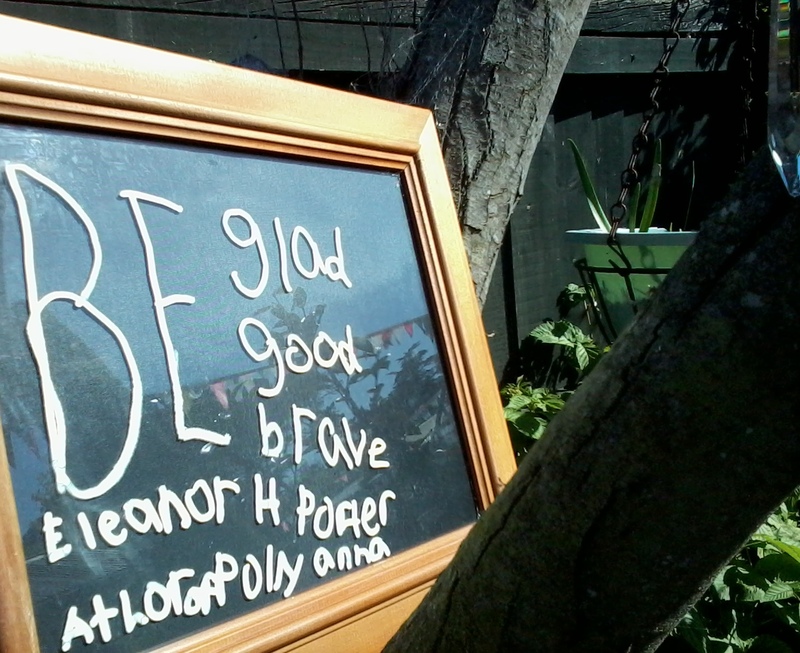 This entry was posted in Sage Words, Union Homestead and tagged brave, bravery, courage, courageous, Disney, Eleanor H Porter, glad, glad game, good, Hayley Mills, motivation, movie, movies, Pollyanna, sage words, word, words. Bookmark the permalink. Pollyanna! A favourite of mine when I was younger than Farm Girl – and I thought Hayley Mills simply beautiful. I’d forgotten the Glad Game till you mentioned it, but of course. Sooo proud of Farm Girl,- resourceful and smart and generous as usual. Others who don’t see that in her are missing out. And I should not have been surprised to learn what the soundtrack was, that’s for sure! Pollyanna certainly came along at exactly the right time for us – and we are very glad of that 🙂 Our own Pollyanna is one in a million and your lovely words made her glow; thanks. So pleased the ‘Glad Game’ is helping. I loved Pollyanna when I was a child and still dip in to my aged copy from time to time when I want an ‘out of this world’ experience. I loved it too; it’s amazing how a story so simple has stood the test of time. I am so glad Farm Girl has discovered Pollyanna! Both my girls have had plenty of demons to face in their lives as well and I was always pleased when they found a way of coping instead of dissolving into tears. My eldest daughter became Ann Shirley (Ann of Green Gables) for a few months – Canadian accent and all.